We are located at 881 Embarcadero Dr, El Dorado Hills, CA 95762 – next to the El Dorado Saloon. World Famous? You bet! Just ask Barber Jon himself. A unique combination of storyteller and showman. Part Mark Twain and part P.T. Barnum, Barber Jon has never met a stranger and always has an entertaining yarn to spin. 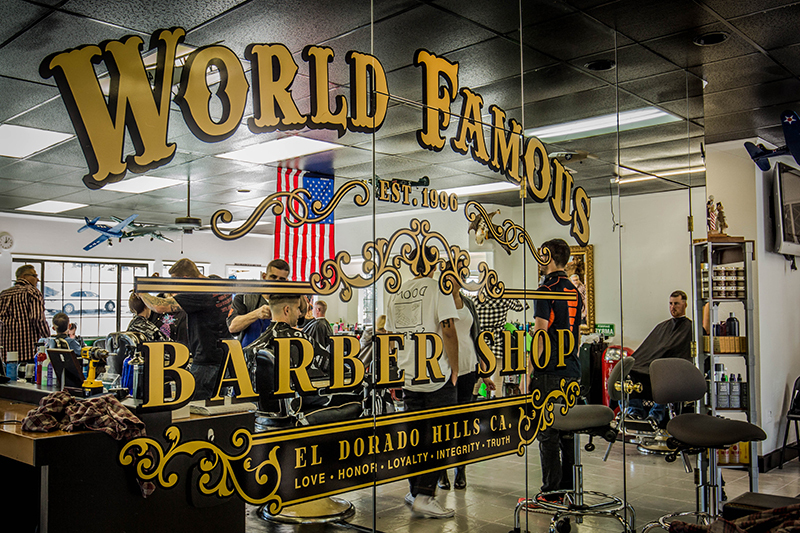 World Famous Barber Jon’s is home to El Dorado County’s favorite barber shop. Now located at 881 Embarcedero Drive off of Green Valley Road in El Dorado Hills. Barber Jon’s Barber Shop is full of extremely talented and friendly barbers. Stop by Barber Jon’s today for an experience of a lifetime – and one you will never forget. 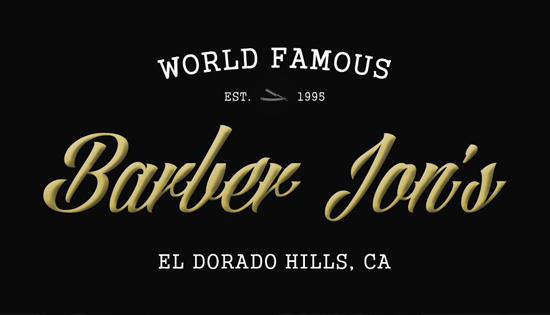 World Famous Barber Jon’s is a premium Barber Shop in El Dorado Hills, specializing in men’s hair cuts, men’s shaves, beard trimming and much more. 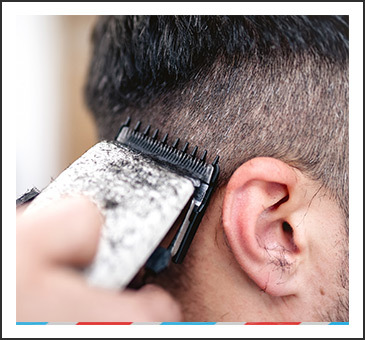 If you have any questions about the barber shop, our services or just want to chat, please fill out our contact form and we will get back to you as soon as possible. 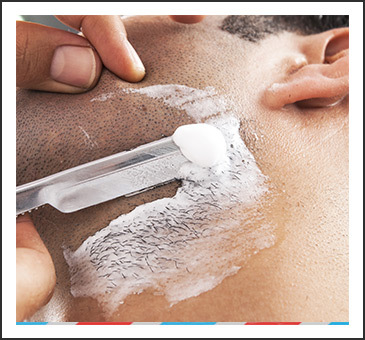 Here at World Famous Barber Jon’s Barber Shop, we understand you have choices when it comes to your grooming needs. 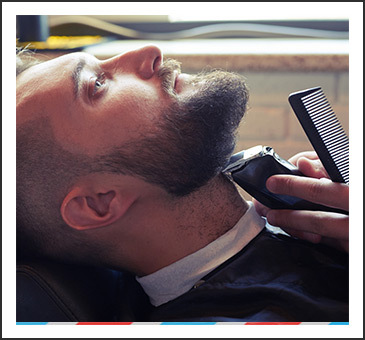 With that in mind, it is our goal to ensure you receive the highest quality barber services, including a hair cut, shave or beard trim at an affordable price. We are located in El Dorado Hills and serve our friends and family in the surrounding areas, including Folsom, Granite Bay, Roseville, Rocklin and beyond! Here at Barber Jon’s, we are more than just your local barber shop. We are truly an amazing experience that provides much more than just outstanding hair care. Our highly trained professional barbers and team members will make you feel right at home and like you are part of the family. Come down to the barber shop today and experience our World Famous Barber Shop in person. Take a look at some of our friends and family in the photo galley below. Barber Jon’s World Famous Barber Shop is open seven days a week. Check out our contact page for hours and location details. Several of our barbers take appointments over the phone. We take walk-in’s and are more than happy to get you the servcie you need at an affordable price. Just give us a call or stop by the shop today! We are located at 881 Embarcadero Dr, El Dorado Hills, CA 95762 – next to the El Dorado Saloon. Want to keep up on the latest with Barber Jon? Sign up for periodic email updates. We send out coupons, monthly specials and occasionally some nonsense that will make you laugh. 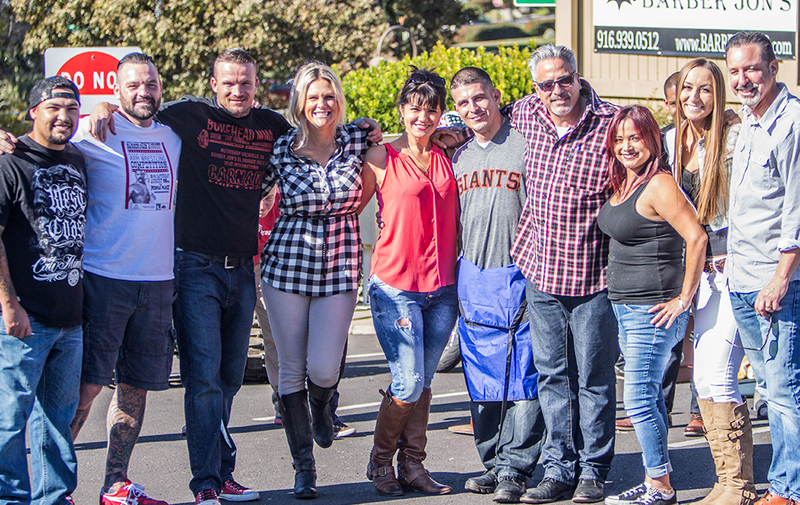 Also, don’t forget to become a fan of Barber Jon’s World Famous Barber Shop on Facebook or follow us on Twitter. For you “suit types”, connect on LinkedIn. Click the buttons below to connect with Barber Jon.